Samaritan was founded by visionary volunteers in 1980 in Moorestown, NJ as Hospice of Burlington County – South Jersey’s first hospice. Almost 40 years later, Samaritan is the largest hospice organization serving Burlington County and the South Jersey area. Samaritan’s programs in Burlington County, NJ include hospice care, palliative care, grief support, and education. 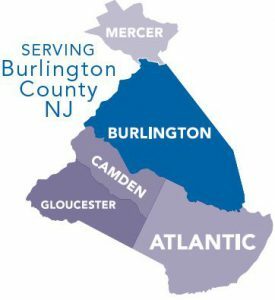 Samaritan is a proud member of the Burlington County Regional Chamber of Commerce and the Marlton Business Association. Samaritan serves hospice patients and their families in a 2,200 square mile area including Atlantic, Burlington, Camden, Gloucester, and Mercer counties. Families receive hospice and palliative care all over Burlington County NJ, from Moorestown, Medford, Mount Laurel, and Marlton, to Cinnaminson, Delran, Maple Shade, Mount Holly and Lumberton, to Pemberton, Palmyra, Burlington, Florence and Edgewater Park, to Tabernacle, Shamong, Columbus, Vincentown, and more. 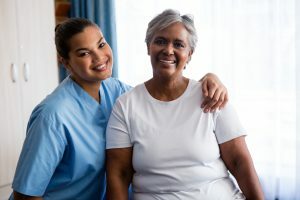 Stay connected to the South Jersey community by accessing the health services, human services, financial services, and legal resources offered in the county where you live. If you’re interested in learning more about hospice and palliative care in Burlington County NJ, please contact us at (800) 229-8183 or please fill out this online form.